In the increasingly competitive hybrid market, Porsche has a new offering aimed particularly at the eco-friendly and budget conscious business buyer. The new Porsche Cayenne S E-Hybrid, replaces the former Cayenne Hybrid. 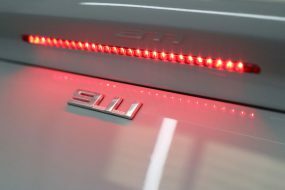 Using more advanced electric motor and battery technology from the Panamera E-Hybrid, the Cayenne S E-Hybrid offers a combined parallel hybrid petrol-electric output of 410bhp capable of propelling from 0-62mph in around 5.9 seconds, topping out at 151mph – no mean feat for a car that weighs in at 2350kg. The 10.8kWh lithium-ion battery recharges in just 3.5 hours and in pure EV mode has a range of 22 miles, achieving a maximum electric speed of 78mph. Safe to say the electric hybrid has come a long way. 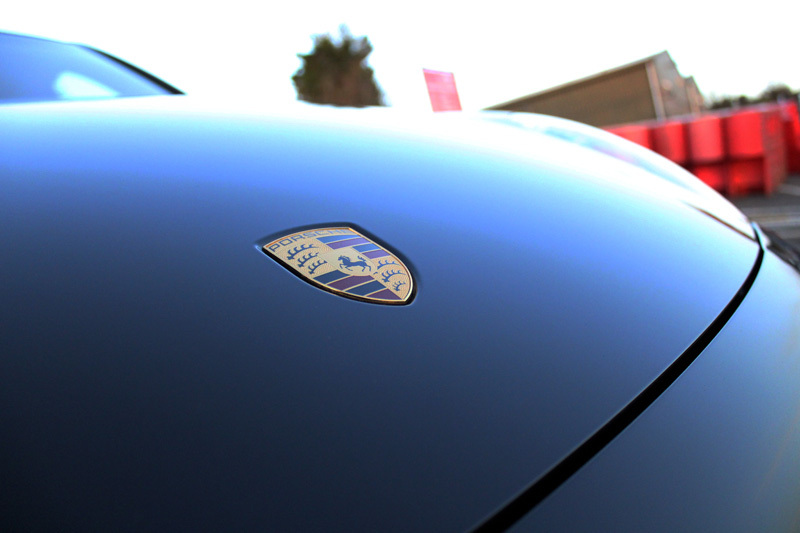 Porsche fans will not be surprised by Porsche’s ability to rise to the challenge. 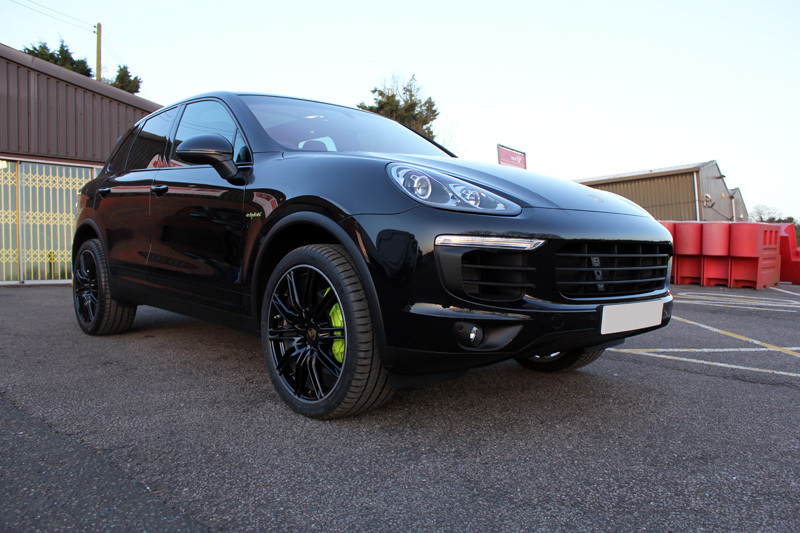 Taking advantage of the concierge service offered by Ultimate Detailing Studio, this brand new Cayenne S E-Hybrid was booked in for a New Car Protection Treatment and subsequently collection was arranged from the customer’s home. Unfortunately, between the customer purchasing the car and it being collected, the neighbour’s cat decided to admire the Cayenne close up! 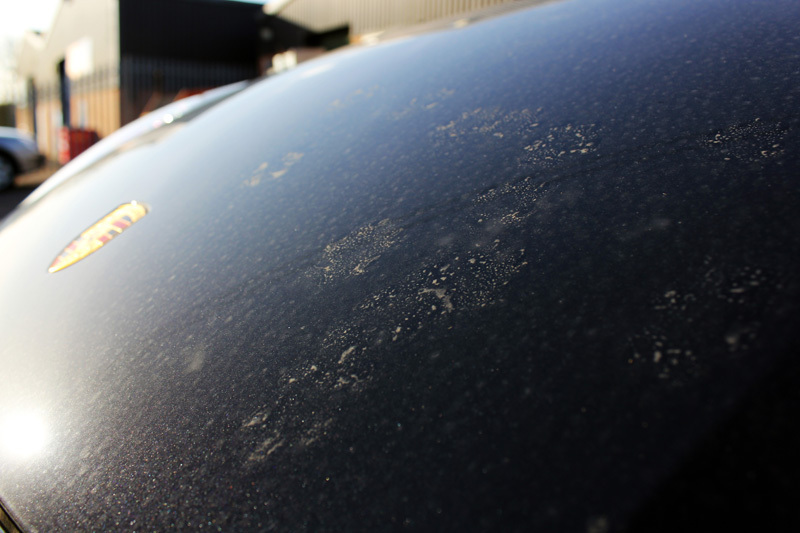 Apart from the cat scratches, overnight rain had left the Cayenne covered in road grime and as seems to be the norm these days, a considerable amount of environmental fallout. 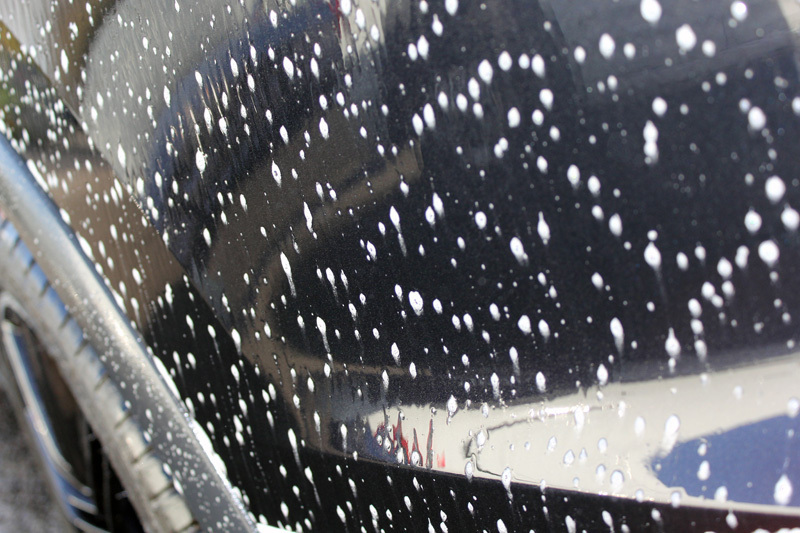 Before the car could be protected, it first had to be thoroughly cleaned to near clinical standards. That process begins with a complete decontamination process. 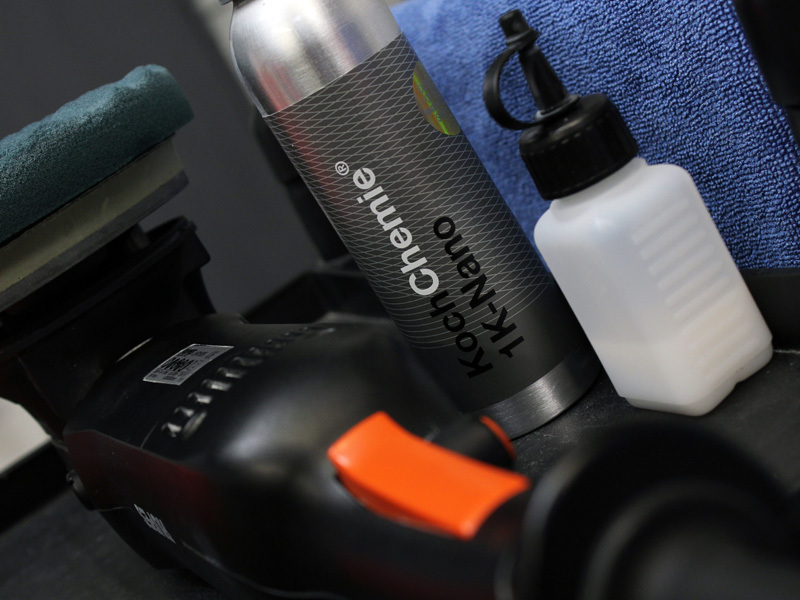 The first step was a treatment of Koch-Chemie Reactive Wheel Cleaner, a ferrous contamination remover which shrinks iron particles on contact, breaking the bond with the underlying substrate and allowing the particles to be freely rinsed away. The colour change function demonstrates areas of iron particle build up. After rinsing the Cayenne was then treated with Gtechniq W5 Citrus All Purpose Cleaner to remove grease and road grime deposits. 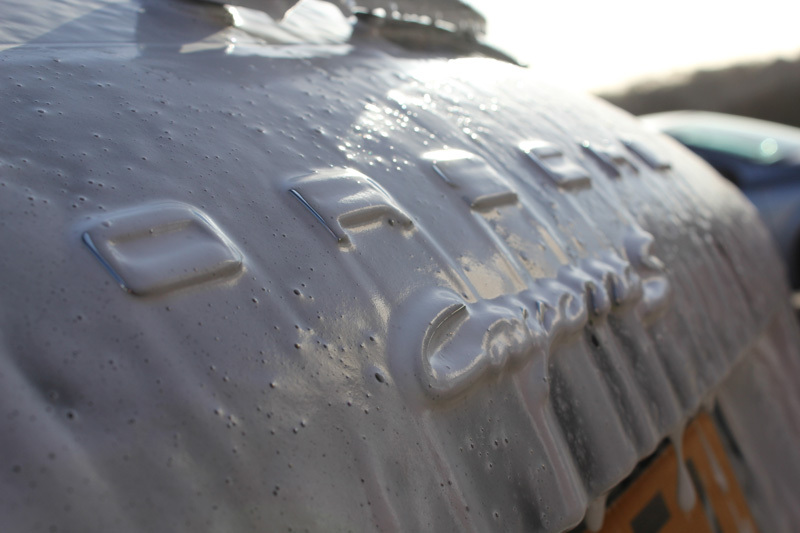 Then the Cayenne was pre-washed using Ultimate Snow Foam to remove any remaining larger particles of dirt and grit. Using a Kranzle 1152 TST Pressure Washer, Ultimate Snow Foam was safely rinsed away. The Cayenne was then washed using the Two Bucket Method, an Ulti-Mitt Double Sided Merino Wash Mitt and Koch-Chemie NanoMagic Shampoo. 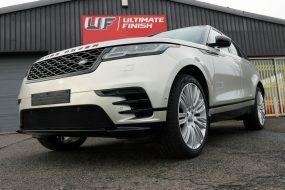 With the paintwork and wheels clean and rinsed, an Aqua Gleam De-ionising water filter was connected to the hose and the Cayenne given a final, pure water rinse. This filter neutralises the impurities in tap water which otherwise leave unsightly water spot marks. 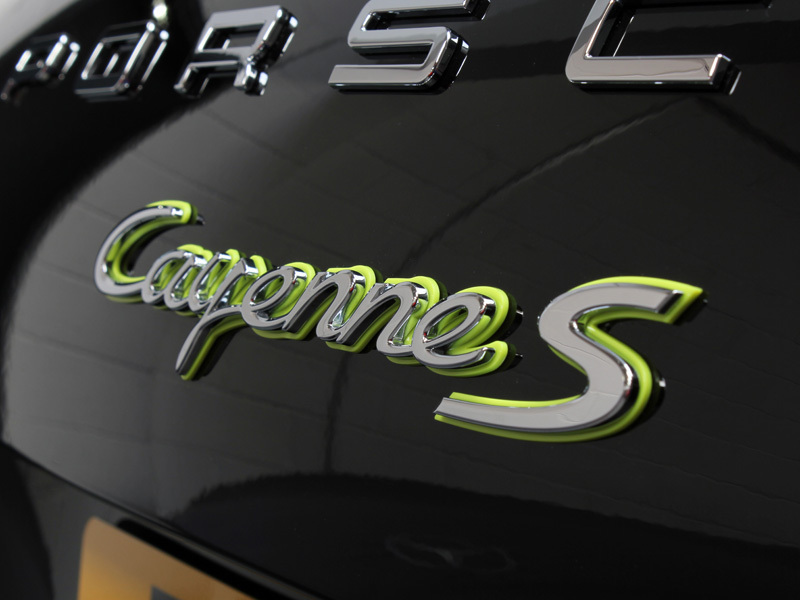 The Cayenne was dried using soft microfibre towels and brought in to the detailing studio. 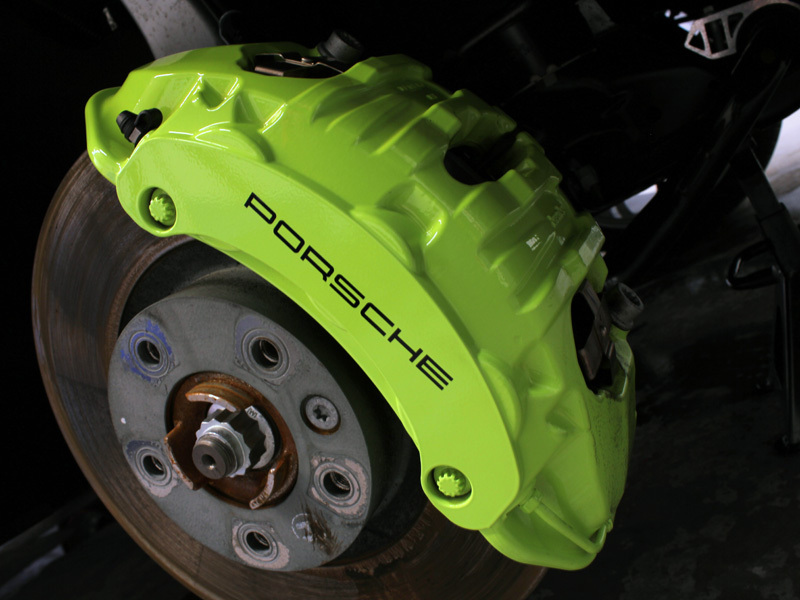 At this point the wheels were removed to allow access to the lime green brake callipers which the customer had specifically requested be protected. 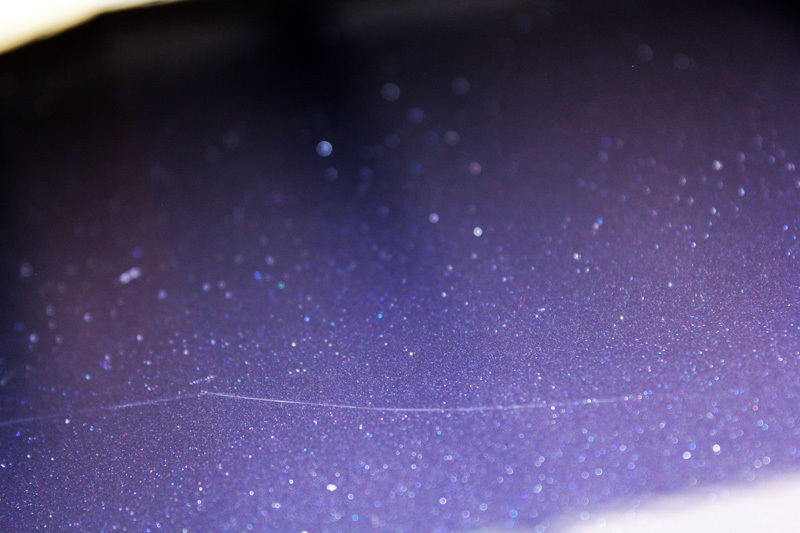 The paintwork was inspected under high intensity lighting to gauge the condition of the paintwork. 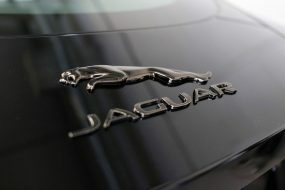 With the exception of the cat scratches the rest of bodywork exhibited only light swirl marks. With the paintwork now restored to ‘showroom’ condition, two layers of Koch-Chemie 1K-Nano sealant were applied to protect the surface. 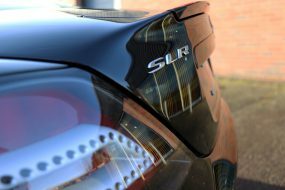 The sealant was applied using a RUPES random orbital machine polisher for a perfectly uniform finish, which when buffed off delivered a gloss and slickness to the paintwork that is difficult to match! 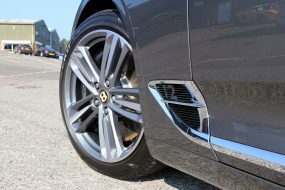 The alloy wheels and brake callipers were cleansed using Gtechniq Panel Wipe to ensure any residual traces of silicones were removed before being coated with Gtechniq C5 Alloy Wheel Armour. 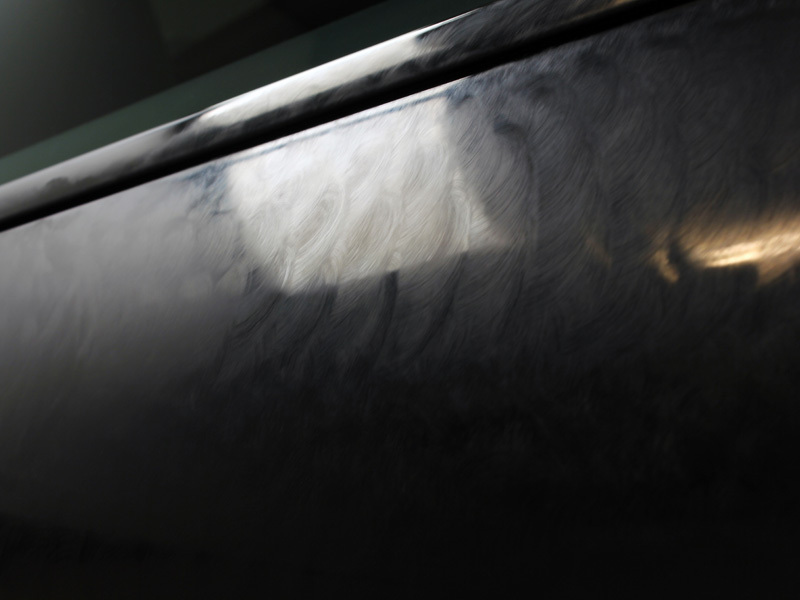 This highly heat resistant coating lays down a barrier which is hydrophobic and oleophobic (oil-repelling). 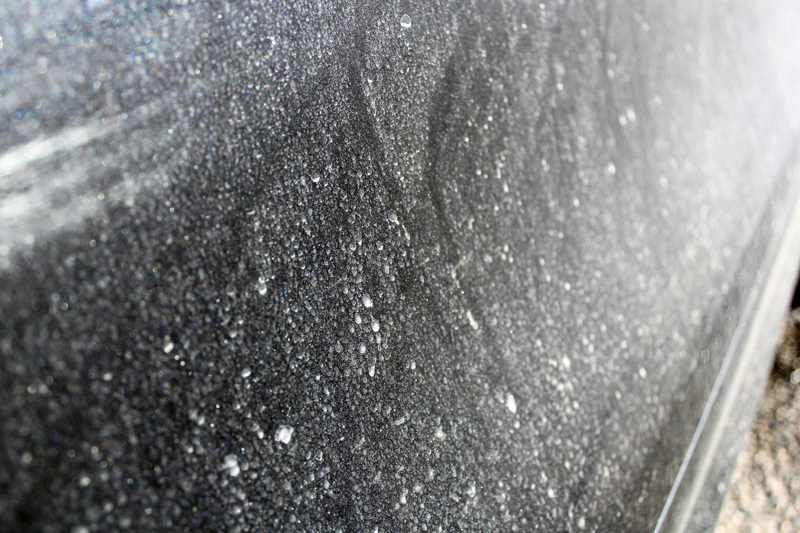 Brake dust and road grime will not adhere to treated surfaces making them easier to clean and negating the requirement for harsh wash chemicals. The glass was cleaned and then the exteriors treated with Gtechniq G1 ClearVison Smart Glass. This forms a hydrophobic barrier which causes rain water to bead on contact and allows it to be easily blown away whilst driving, even at lower speeds. To polish the exhaust tips Gtechniq M1 All Metal Polish – a chemical cleaner which burnishes brightwork – was used. M1 leaves a glowing lustre unseen with conventional abrasive metal polishes. Finally the tyres were dressed with Gtechniq T2 Tyre Dressing to leave a natural satin sheen. 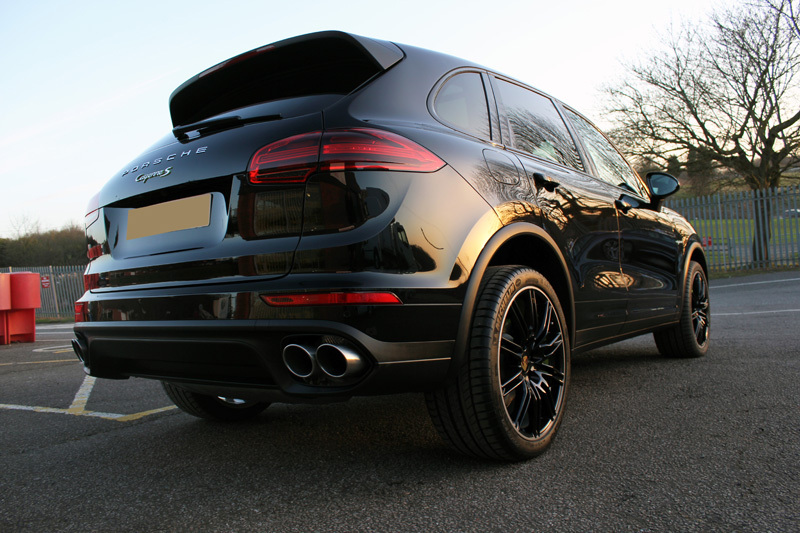 On delivering the Cayenne S E-Hybrid back to the customer, he was ready and waiting, eagerly anticipating delivery. Having been incredibly disappointed with the condition it was in when he last saw it, his reaction was heart-warming. The enhanced depth of shine and clarity of the metallic black paint reflected his expression perfectly!